Lateral Epicondylitis is a common clinical entity characterized by pain and tenderness at the common origin of the extensor group muscles of the forearm,usually as a result of a specific strain, overuse, or a direct bang.It is considered a cumulative trauma injury that occurs over time from repeated use of the muscles of the arm and forearm, leading to small tears of the tendons (Tendonitis). The condition that is commonly associated with playing tennis and other racket sports, though the injury can happen to almost anybody. The tendinous origin of extensor carpi radialis brevis (ECRB) is the area of most pathologic changes. Changes can also be found at musculotendinous structures of the extensor carpi radialis longus, extensor carpi ulnaris and extensor digitorum communis. Overuse and repetitive trauma in this area causes fibrosis and micro tears in the involved tissues. Nirschl referred to the micro tears and the vascular in growth of the involved tissues as angiofibroblastic hyperplasia. A tear occurs at the teno-muscular junction, in the tendon, or at the teno-periosteal junction. The resulting inflammation produces exudate in which fibrin forms to heal the torn tissue. Repeated activity causes microtrauma, with subsequent granulation tissue formation on the underside of the tendon unit and at the teno-periosteal junction. The granulation tissue formed appears to contain large number of free nerve endings, hence the pain of the condition. The major problem is that the granulation tissue does not progress quickly to a mature form, and so healing fails to take place, almost a type of tendinous 'nonunion'. Most patients with Lateral Epicondylitis are between the age of 30 to 55 years, and many have poorly conditioned muscles. 95% of tennis elbow occurs in non-tennis players.10-50% of regular tennis players experience tennis elbow symptoms of varying degree sometimes in their tennis lives. The most common cause of Lateral Epicondylitis in tennis players is a 'late' mechanically poor backhand, that places excess force across the extensor wad, that is, the elbow leads the arm. Other contributing factors include incorrect grip size, string tension, poor racket dampening, and underlying weak muscles of the shoulder, elbow and arm.Tennis grips that are too small often exacerbate or cause tennis elbow. Often a history of repetitive flexion-extension or pronation-supination activity and overuse is obtained (eg.,twisting a screw driver, lifting heavy luggage with the palm down). Tightly gripping a heavy briefcase is a very common cause. Raking leaves, baseball, golfing, gardening, and bowling can also cause Lateral Epicondylitis. Less commonly, tendonitis is simply a result of single acute injury. At first, the athlete may be aware of only fatigue and spasm of dorsal forearm muscles related to unaccustomed activity. Then they may note the onset of aching lateral elbow pain after playing. Eventually the pain may become so constant and severe so as to stop the athlete from further playing and to interfere with activities of daily living, such as carrying a briefcase, wringing wet clothes or even holding a cup of tea. Grip becomes weak. Morning stiffness may be felt. Point tenderness over or just distal to the lateral humeral epicondyle (the bony attachment of the common extensor tendon) which gives rise to burning sensation when pressure is applied. Tenderness over muscles of dorsal forearm. Pain with resisted wrist extension, finger extension and resisted radial deviation. Pain with passive stretching of wrist extensors. With long standing symptoms, there is likely to be considerable atrophy and weakness of extensor muscles and limitation of passive wrist flexion. Accessory movements of the elbow and superior radio-ulnar joint may be reduced in along term problem. 1)Cozen's test- The patient's elbow is stabilized by the examiner's thumb, which rests on the patient's lateral epicondyle. The patient is then asked to make a fist, pronate the forearm and radially deviate and extend the wrist while the examiner resists the motion. A positive sign is indicated by sudden severe pain in the area of lateral epicondyle of the humerus. 2)Mill's test- While palpating the lateral epicondyle, the examiner pronates the patient's forearm, and flexes the wrist fully and extends the elbow. A positive test is indicated by pain over the lateral epicondyle of humerus. 3)Maudsley's test- The examiner resists extension of the 3rd digit of the hand, stressing the extensor digitorum muscle and tendon. A positive test is indicated by pain over the lateral epicondyle of the humerus. Evaluation should note possible sensory paresthesias in the superficial radial nerve distribution to rule out Radial tunnel syndrome. It is the most common cause of refractory lateral pain and coexists with Lateral Epicondylitis in 10% of the patients. The cervical nerve roots should be examined to rule out cervical radiculopathy . 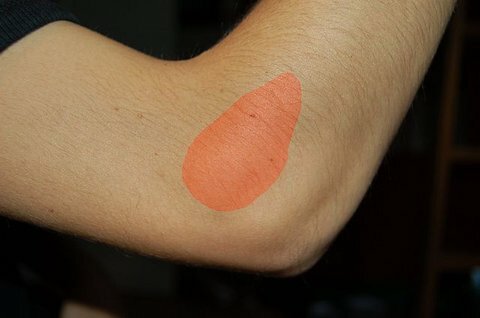 Other conditions that should be considered include bursitis of the bursa below the conjoined tendon, chronic irritation of the radiohumeral joint or capsule, radiocapitellar chondromalacia or arthritis, radial neck fracture, panner's disease, little league elbow and osteochondritis dissecans of the elbow. X-rays are not necessary. Rarely, magnetic resonance imaging (MRI) scans may be used to show changes in the tendon at the site of attachment onto the bone. MRI typically shows fluid in the ECRB origin. There may also be a defect in this tissue. The use of the word "tear" to refer to this defect can be misleading. The word "tear" implies injury and the need for repair--both of which are probably inaccurate and inappropriate for this degenerative enthesopathy. In non-athletes, elimination of activities that are painful is key to improvement (eg., repetitive valve opening). Treatment such as ice and NSAIDs may lessen the inflammation, but continued repetition of the aggravating motion will prolong any recovery. Often repetitive pronation-supination motions and lifting heavy weights at work can be modified or eliminated. Activity modifications such as avoidance of grasping in pronation and substituting controlled supination lifting instead may relieve symptoms. Lifting should be done with the palm up whenever possible, and both upper extremities should be used in a manner that reduces forcible elbow extension, supination and wrist extension. If a late poor backhand causes pain, correction of mechanics of the game is warranted. Avoidance of ball impact that lacks a forward body weight transference is stressed. If typing with unsupported arms exacerbates the pain, placing the elbows on stalked towels for support will help. Calculation of grip-The distance from the proximal palmar crease to the tip of the middle finger determine the proper grip size.The figure obtained represents the circumference of the racket handle. If not contraindicated, we use Cox-2 inhibitors (rofecoxib, celecoxib) for their improved safety profile. 10-15 minutes of icing, four to six times a day. Your doctor may suggest an injection of a small dose of steroid to the affected area. This is not the sort of steroid banned for athletes. If used it can last for up to three months, and although it may need to be repeated you seldom need more than two or possibly three injections. ROM of exercises emphasizing end-range and passive stretching (elbow in full extension and wrist in flexion with slight ulnar deviation). Forearm extensor stretch may be performed with the athlete facing the wall.The dorsum of the hand is placed on the wall, and the elbow remains locked. By leaning forward the wrist is forced into 90 degree of flexion, stretching the posterior forearm tissues. Wrist flexion may be combined with a pronation stretch. Keeping the elbow locked, the forearm is maximally pronated and wrist flexed. Overpressure is applied by other hand and static stretch is performed. The scar tissue is more pliable when warm. So stretching exercises can be given after some superficial heating modality. Brace is used only during actual play or aggravating activity. The tension is adjusted to comfort while the muscles are relaxed so that maximal contraction of the finger and wrist extensors is inhibited by the band. The band is placed 2 finger breadths distal to the painful area of the lateral epicondyle. Some authors recommend 6-8 weeks use of a wrist splint positioned at 45 degree of dorsiflexion. Exercises emphasize end-range and passive stretching (elbow in full extension and wrist in flexion with slight ulnar deviation). -Soft tissue mobilization- Cross fibre friction massage is done with and perpendicular to the tissue involved. Phonophoresis or iontophoresis may be helpful. A gentle strengthening program should be used for grip strength, wrist extensors, wrist flexors, biceps, triceps, and rotator cuff strengthening. However,the acute inflammatory phase must have resolved first, with two weeks of no pain before initiation of graduated strengthening exercises. Development of symptoms (pain) modifies the exercise progression, with a lower level of intensity and more icing if pain recurs. Active motion and submaximal isometrics. Isotonic eccentric hand exercises with graduated weights not to exceed 5 pounds. Theraband extension is performed with athlete sitting. One end of the band is placed under the foot and the other end is gripped. Wrist curls-Sit with the hand over the knee. With palm up, bend the wrist 10 times holding a 1-2 pound weight.Increase to two sets of 10 daily; then increase the weight by 1 pound upto 5-6 pounds. Repeat this with palm down, but progress to only 4 pounds. Forearm strengthening-Hold the arm out in front of the body, palm down. The patient clenches the fingers, bends the wrist up, and holds it tight for 10 seconds. Next with the other hand, the patient attempts to push the hand down. Hold for 10 seconds, 5 repetitions, slowly increasing to 20 repetitions 2-3 times a day. Elbow flexion and extension exercises. Squeeze a sponge ball repetitively for forearm and hand strength. Mobilization with movement (MWM)- In this a sustained mobilization is applied to a joint. The mobilization is applied at the same time the patient performs a painful action with the affected joint (extension of wrist). Progress strength, flexibility, and endurance in a graduated fashion with slow-velocity exercises involving application of gradually increasing resistance. Later on upper limb plyometrics, closed chain activities and sport specific activities are done. Operative treatment is required in less than 2% cases. Extensor tenotomy-Release of ECRB with debridement of chronic inflammatory tissues is the treatment of the choice. Guidelines of Surgery-Persistent pain (more than 1 year), pain at rest, high activity level, failure of quality rehab program. Faro F, Wolf JM. Lateral epicondylitis: review and current concepts. J Hand Surg Am. 2007 Oct;32(8):1271-9. Trudel D, Duley J, Zastrow I. Rehabilitation for patients with lateral epicondylitis: a systematic review. J Hand Ther. 2004 Apr-Jun;17(2):243-66.